Today you will travel to Russia by fast train "Allegro" from Helsinki to St. Petersburg. Our guide will meet you at the train station. 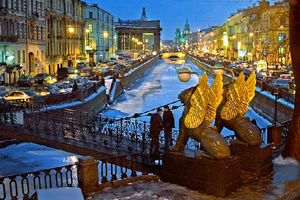 We will have a 3-hour City Tour of St. Petersburgbefore hotel check-in. During the tour you will drive by the elegant buildings on the Nevsky Prospect and impressive palaces on Palace Embankment along the Neva River, Palace Square with Winter Palace and Alexander Column, Bronze Horseman - the famous monument to Peter the Great, Admiralty, Schmidt Bridge, Strelka with Stock Exchange and Rostral Columns, St. Isaac's Cathedral, Peter and Paul Fortress, Alexander Nevsky Lavra, Canal Griboyedova, Fontanka, Kazan Cathedral, Church on Spilled Blood and other finest architectural, historical and cultural landmarks. 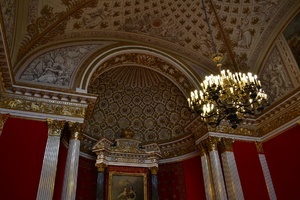 After breakfast you will visit St. Isaac’s Cathedral, one of the largest in the world, lavishly decorated with marble, frescos, mozaic and painting. Then a private tour to the famousHermitage to explore one of the richest art collections put together throughout two and a half centuries, consisting of over 3,000,000 artifacts from the Stone Age to the 21st century. 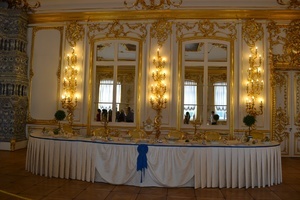 In the morning enjoy a half-day tour to Pushkin to see Catherine Palace with its famous Amber Room. 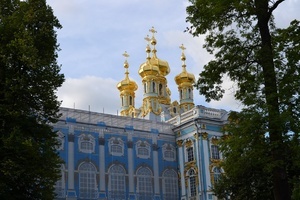 The palaces and parks of Pushkin were created under Empresses Elizabeth and Catherine the Great in the middle of the 18th century. 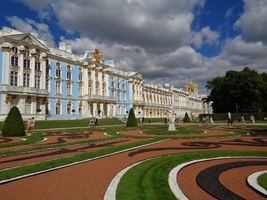 Catherine Palace was designed by Rastrelli and named after Elizabeth’s mother, Peter the Great's second wife. Pushkin's original name is Tsarskoye Selo (Tsar's Village). It was renamed in 1937 after Russia’s famous poet who used to study here. Free afternoon. Today you may spend your day at leisure or take our optional tour to Petergoff. Petergoff(formerly known as Petrodvorets), located on the southern shores of the Finnish Gulf, approximately 14 miles (29 kilometers) drive from St. Petersburg. 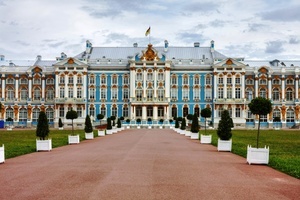 Its began in 1704 when Peter I built a wooden house on the Gulf while overseeing the construction of the nearby Kronstadt Fortress. 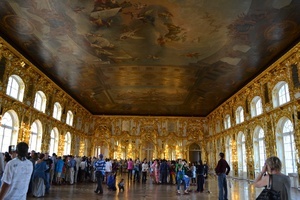 In 1713 he transformed the area into an imperial residence. The Grand Palace was inaugurated in 1723 and later expanded by Empress Elizabeth. The Palace is surrounded by a beautiful park famous for its fountains. There are 144 of them, all operating without the use of pumps by a combination of naturally generated water pressure and magic. Each fountain is unique and once you step in the kingdom of fountains you will be surprised by this splendid beauty created by a man. After the tour transfer to the train station. Train to Helsinki.